salivate when you think about it. 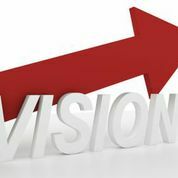 According to Frank Sonnenberg (@FSonnenberg, author of “Managing with a Conscience”), if you want to move an organization from short-term success to long-term profitability, great leadersemphasize the organization’s vision and mission, and focus on the role that each and every employee has to bringing it to fruition. This attention creates empowerment. It clarifies marketplace lines. It moves an organization to greatness. It keeps all hands on deck when the unexpected happens. the marketplace voids. It’s hearing the clarion call of what could be, in the future. Such thoughts come from a deep relationship with your target, a compassion for their problems, opportunities and perspectives. It is knowing what your customers, consumers and clients value in an experience in your industry and how they rank those experiences, attributes and benefits among all of their other decisions. Do you know who do you serve? It’s not just about the exchange of funds. Can you explain the experience they expect from your type of product or service? Move beyond outcomes. Do you know how they rank the array of competitors in your industry with respect to each of the characteristics that they find useful and valuable? Tag lines are superficial. And, can you express, specifically, how what you do delivers the best possible outcome for them? It’s a total package thing. There is no glory in being second-best. If you cannot answer yes to each of those questions, start with creating a customer-centered vision and mission, to focus and drive your actions. So dust off the vision, and get ready to roll! « What is Vision-Aligned Action and How Do You Create Some?